Th is snorkel kit is designed and manufactured for Toyota Land Cruiser 100 Series and Lexus LX470. You can be very confident about our product because your vehicle will be protected against water intrusion and leakages by applying this snorkel kit. Turns your cold air intake kit into a functional Ram-Air system as on the Hellcats. Genuine Mopar OEM Parts! Mopar warranties their parts for 24 months/unlimited miles. Warranty does NOT cover altered, modified, tampered, or abused parts. OEM Engine Air Intake Hose for Nissan Frontier Pathfinder Xterra 4.0L 2005-2017 2 Year Warranty Item description : The engine types may include 4.0L 3954CC 241Cu. V6 GAS DOHC Naturally Aspirated, 4.0L 3954CC V6 GAS DOHC Naturally Aspirated. This part fits vehicles made in the following years 2005, 2006, 2007, 2008, 2009, 2010, 2011, 2012, 2013, 2014, 2015, 2016, 2017. Part Number: 696-009 Application Summary - 2000: Nissan Frontier 2017-05, Nissan Pathfinder 2012-05, Nissan Xterra 2015-05 Airflow Sensor Port: No Clamps Included: Yes Color/Finish: Black Configuration: One Piece Emission Sensor Port: No Grade Type: Regular Hose End Shape: Round Hose Length: 4.75 In. Hose Material: Rubber Inlet Diameter: 3.5 In. Interchange Part Number: 16576EA200. New Left Front Driver Side Intake Inlet. Warranties are only valid in the U.S.A. not included in your order. These fees are. International Orders. Canada Orders. not be accepted – no exceptions! Genuine Ford Parts And Accessories! Trending at $18.21eBay determines this price through a machine learned model of the product's sale prices within the last 90 days. 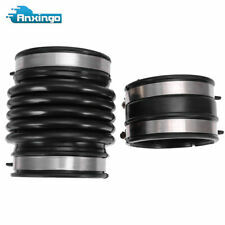 Compatible with 1997-1999 Toyota Camry 2.2L Models. Compatible with 1999 Toyota Solara. Material: Rubber. Will not fit vehicles made after 8/1/1999. Will not fit in place of part #17881-03110. Compatible with 696-706. This part generally fits Chevrolet vehicles and includes models such as Aveo with the trims of LS Sedan 4-Door, LT Sedan 4-Door. The engine types may include 1.6L 1598CC 98Cu. l4 GAS DOHC Naturally Aspirated. Air intake snorkel kit is designed for Toyota HiLux. You can be very confident about our product because your vehicle will be protected against water intrusion and leakages by applying this snorkel kit. PCV Oil Trap Crank Case Breather Hose Repair Kit. Welcome to our store! 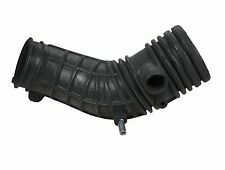 Brand New Air Intake Hose for Mazda 6 2005-2008 Description: *Fast shipping from KY USA *Brand new and High quality part *2 Year Warranty Ite Specification: *Color: Black *Hose material: Rubber *Inlet size: 2.71 in. *Length: 9.22 in. *Outlet size: 2.8 in. Fitment: Mazda 6 2005-2008 Package Include:As picture 1 x Air Intake Hose Note: Please check your part number to make sure it is the correct part for your Vehicle You will receive it as pictured *We offer 100% customer satisfaction. *We fully stand behind with all the items that we are selling! *Please check our stores for other car and truck parts. *Please leave us positive feedback if you are satisfied with the item. After market Superior Quality Air Intake Hose Part# F81Z9C681BA Fits: 1999 - 2003 F250 / F350 / F450 / F550 (With 7.3l V8) 2000 - 2003 Ford Excursion (With 7.3l V8) ▲Easy Installation ▲Direct Replacement For Your Old Worn Out Or Cracked Hose Free Shipping :Our inventory is stocked & ready to be shipped from KY, USA. Highly appreciated your order and hoping you have a best buying experience in our store. Any questions or installation issues please contact us freely, your messages will reply within 24 hours. Part Number:28138-4D200, 281384D200. This fits many Sedona 3.5 and 3.8 Engines. However there has been an Engineering Change in the Middle of the model Year for both which changes the location of the rear RESONATOR. Fits 2011 to 2019 Dodge Challenger. Fits 2011 to 2019 Chrysler 300. equipped with 5.7L HEMI Engines. New Mopar Cold Air Intake System. This bolt-on system is designed to allow cooler outside air in through a directional cone filter and funnel it directly into the intake manifold. PART NUMBER: 13541438761, 13541435627 13 54 1 438 761 / 13 54 1 435 627. Fit For 325's w/ M56 engine (2.5L). 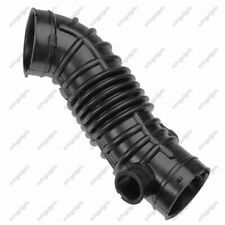 Set of 2 Fresh Air Intake Boot Body Hose Kit for BMW 323Ci 323i 328i. 2005 BMW 330xi Base Sedan 4-Door 3.0L 2979CC l6 GAS DOHC Naturally Aspirated. 1994-1996 Ford F-150. 1994-1996 Ford Bronco. 1994-1997 Ford F-250. 1994-1997 Ford F-350. III.Fit For the Following. Our warranty is valid for max. 24 months without mileage limitation. It is manufactured from tough, quality materials for long lasting durability. Mounts directly, this product is crafted to ensure precise fit for a worry-free installation. Ignition Coil replace #90919-A2007 For Toyota Avalon Camry Lexus 2005-2015. 1995-2000 Tacoma 4Runner 4CYL 2.4L 2.7L. 50X LOT 508 92-0145 TPMS RUBBER TIRE WHEEL RIM VALVE STEMS 20008 FOR GM CHEVY. which will affect your account. The item located in Los Angeles,California. Local pick up service is not available currently. Ignition Coil Fits Nissan Frontier Pathfinder More 22448-8J115 OEM. 3PCS 150W 3600LM Headlight LED Bulbs For Polaris Sportsman850 800 700 500 6000K. 2PCS Windshield Washer Nozzle Wiper Spray Jet For 07-12 Dodge Caliber 5160308AA. 2004 - 2006 Acura TL. TypeAir Cleaner. SizeStandard Size. You may also like. Other Part Number696-001, C344. 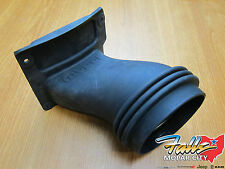 This is a genuine MOPAR Cold Air Intake Duct Tube. 2015-2018 DODGE CHALLENGER 5.7L 6.4L. 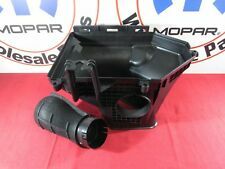 cold air intake system (77070043AC 6.4L engines or 77070044AD for 5.7L Engines. DODGE CHALLENGERS ONLY. NOTE: This bolt-on system is designed to allow cooler outside air in through. ). Part Number: 28138-4D200, 281384D200. 06-10 Kia Sedona Sedona 2006 - 2014. This fits many Sedona 3.5 and 3.8 Engines. However there has been anEngineering Change in the Middle of the model Year for both which changes the location of the rear RESONATOR. Trending at $22.65eBay determines this price through a machine learned model of the product's sale prices within the last 90 days. Let your Focus ST out of the box with this factory RS upgrade. I installed this unit into my personal ST in about 20 minutes. We know STs and know what the community needs! 1997-2000 Infiniti QX4 with the 3.3 engineV6-3.3L. 1996-2003 Nissan Pathfinder V6-3.3L. III.Fit For the Following. Our warranty is valid for max. 24 months without mileage limitation. Unbeatable Price. aFe 54-74201 Cold Air Intake System Pro 5R 14-19 Chevy Corvette C7 V8-6.2L. Condition is Used. Only about 1500 miles on it. 2007-2012 for Nissan Sentra 2.0L 4 Cylinder. Hose Material: Rubber. Hose Length: 10 In. Important notice All AutoModPlanet products have 2 year warranty (unless otherwise stated). Free 2 Year Warranty. 1994-1996 Ford Bronco. 1994-1996 Ford F-150. 1994-1997 Ford F-250. 1994-1997 Ford F-350. III.Fit For the Following. Our warranty is valid for max. 24 months without mileage limitation. PCV Oil Trap Crank Case Breather Hose Repair Kit. 1271653 Breather Hose. 1271654 Breather Hose. 2000 - 2004 V40. 1998 - 2002 C70. 2000 - 2003 S40. 1998 S70. 2004 S40 1.9L L4.